We’d love your help. 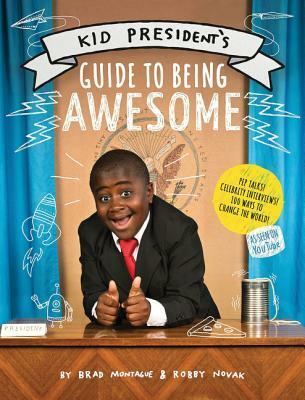 Let us know what’s wrong with this preview of Kid President's Guide to Being Awesome by Robby Novak. "This is LIFE, people! You've got air coming through your nose! You've got a heartbeat! That means it's time to do something!" announces Kid President in his book, Kid President's Guide to Being Awesome. From YouTube sensation (75 million views and counting!) to Hub Network summer series star, Kid President—ten-year-old Robby Novak—and his videos have inspired millions to "This is LIFE, people! You've got air coming through your nose! You've got a heartbeat! That means it's time to do something!" announces Kid President in his book, Kid President's Guide to Being Awesome. From YouTube sensation (75 million views and counting!) to Hub Network summer series star, Kid President—ten-year-old Robby Novak—and his videos have inspired millions to dance more, to celebrate life, and to throw spontaneous parades. To ask other readers questions about Kid President's Guide to Being Awesome, please sign up. why is this book so awesome and why can`t our world be awesome? By the end of this book, the endless repetition of awesome really started to annoy. However, this is probably due to the fact that I read the entire book over the course of only a few sessions and really started to burn out about halfway through. This is not a sit-down-and-read-the-whole-thing kind of book. It's more of a place-this-on-your-coffee-table-or-in-your-bathroom kind of read that an obsessive reader might have trouble pacing. That being said, if I'd had taken a little more time with it, By the end of this book, the endless repetition of awesome really started to annoy. That being said, if I'd had taken a little more time with it, I'm sure I would have enjoyed it a lot more. Kid President (and, more often than not, his brother-in-law) provide an eclectic mix of ways to improve the world around you. The book's strength comes from the interviews with people who have accomplished something that help others Among these is an interview with Jeremy Cowart, a photographer who provides free professional portrait sessions to people in need, is particularly poignant. After a father passed away before having a chance to have a portrait session with his family, Cowart photographed the family, then seamlessly superimposed the father into the work. Also among the interviews is a 15-year-old who invented an early detection device for pancreatic cancer. There's a lot of entertaining filler to balance out the more in depth pieces. A lot of the suggestions for being awesome consist of a single sentence and a full-page photograph or drawing (Suggestion #56: Love changes everything, so fill the world with it), but I didn't really mind this. What a wonderful way to encourage ourselves to do good and be better every day! This is a colorful, clever book that deserves a place of honor in your cleanest bathroom. Then all of the friends who visit your home can become edified and inspired when they were just looking to go potty. Well done Brad, Robby, and Kristi! This was a really cute book and if you like Kid President then trust me, you will love this. Really inspiring interviews and quirky tips on between about making the world more awesome. So go. Be awesome! I just love Kid President. Everyone can learn a lot from this kid! Love 'em! If you love Kid President, if you need to be "pep-talked," if you want to make your life (and the world!) more awesome, then this book is a must-read for you. In Kid President's Guide to Being Awesome, YouTube sensation Robby Novak and creator Brad Montague compile their original ideas on how to make the world a better place by sharing spurts of wisdom as well as their own authentic experiences. The book begins with biographical information about how Kid President came about and is followed by d If you love Kid President, if you need to be "pep-talked," if you want to make your life (and the world!) more awesome, then this book is a must-read for you. 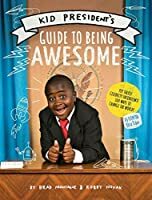 In Kid President's Guide to Being Awesome, YouTube sensation Robby Novak and creator Brad Montague compile their original ideas on how to make the world a better place by sharing spurts of wisdom as well as their own authentic experiences. The book begins with biographical information about how Kid President came about and is followed by distinct chapters revolving around themes such as, "Life is What Happens When You Put Your Phone Down," "Wanna Be a World Changer? Be a Day Maker!" and "It's Okay to Get Discouraged. It's Not Okay to Stop." Within each chapter, there are stories of ordinary people, inspiring the world by being purely awesome. This colorful, uplifting book is an asset to any elementary school classroom. Teachers can incorporate the book into the students' learning environment by reading aloud one short section each day. Not only will this enhance literacy skills, but it will also make students engaged in reading! Simply put, this is a book written by a kid for kids, so students will be able to relate to both the humor and serious messages that Robby has to share. The influx of positive ideas will likely even inspire students to act differently in their own everyday lives. Additionally, teachers can utilize Kid President as a positive theme in their classroom and incorporate the plethora of videos this duo has online in various lessons and as a way to strengthen classroom culture. From the moment I picked up this book, I was WOWed. Although I am a sucker for inspirational quotes (and will likely highlight my favorite lines in my own copy of this book), Kid President's Guide to Being Awesome serves as feel-good motivation for people of any age. Furthermore, this book is written in a way that is simple and easy to understand while also harboring deeper, bold messages. From stories of licking White House walls and mailing corndogs to friends to anecdotes of gratitude and treating all people with compassion, this book hits the full emotional spectrum. Brad and Robby have crafted the perfect mix of laughter inducing moments and heartfelt quotes that make for a satisfying, warm read. There are not adequate words to express how much I love Kid President. Robby Novak and his brother-in-law Brad are two of the coolest people on this planet. Actually the whole Novak/Montague family is pretty amazing. If you don't know the story of Kid President here's the very short version. A few years ago, in July 2012, Brad and Robby decided to make a video for their family and friends. Little did they realize or even anticipate that it would go viral and *overnight* Kid President was encoura There are not adequate words to express how much I love Kid President. Robby Novak and his brother-in-law Brad are two of the coolest people on this planet. Actually the whole Novak/Montague family is pretty amazing. If you don't know the story of Kid President here's the very short version. A few years ago, in July 2012, Brad and Robby decided to make a video for their family and friends. Little did they realize or even anticipate that it would go viral and *overnight* Kid President was encouraging people to dance and make life awesome. And it has just grown from there. Oh and not only is Robby *only* 11 but he also has the brittle bone disease, he's had broken bones over 70 times in his 11 years of life so far! But nobody would ever know, he's more focused on dancing and making the world awesome. This kid is legit. Synopsis- “Life is too short to not be awesome.” [Kid President A.K.A. Robby Novak] Have you ever wondered how you could make the world better? Kid President brings this AWESOME knowledge! Kid President is a YouTube Star who does incredibly inspiring videos (if you haven’t seen them – you should! ), and just makes you feel good with his words of wisdom. This book follows suit. It is packed with 100 ways to change to world for the better and be awesome doing it. What I Thought- This is a wonderfull Synopsis- “Life is too short to not be awesome.” [Kid President A.K.A. Robby Novak] Have you ever wondered how you could make the world better? Kid President brings this AWESOME knowledge! Kid President is a YouTube Star who does incredibly inspiring videos (if you haven’t seen them – you should! ), and just makes you feel good with his words of wisdom. This book follows suit. It is packed with 100 ways to change to world for the better and be awesome doing it. What I Thought- This is a wonderfully uplifting book. This book was a great read. It captures the joy of an excited kid ready to take on life. There are marvelous tips on how to make your life more awesome, and others’ lives more awesome. There are great celebrity interviews throughout the book, with people like Jeff Foxworthy, Beyoncé, Michelle Obama, and various kids who have taken action to make the world more awesome. The format of the book is really cool. There are tons of pictures, fact boxes, illustrations, interviews, and much more. The layout reminds me of a magazine – which, as a kid, I really find interesting and cool to look at. The book is a life-changer really. No lie. If everyone read this book, the world would definitely be better. Mr. Kid President, I have read the book and I am ready to be AWESOME! I love this book! Kid President is one of my heroes. He gives me hope and motivates me to be a better person. 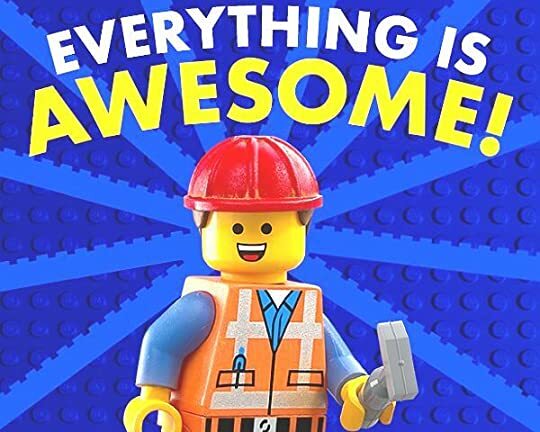 His new book gives you 100 ideas for making the world more awesome. Some ideas are short, but thoughtful mottos you can live by, like "If it doesn't make the the world better, don't do it," or "Be kind. It's not always easy, but it's always important." Many others are accompanied by stories of real kids and adults doing awesome things. There are interviews with famous people and regular I love this book! Kid President is one of my heroes. He gives me hope and motivates me to be a better person. His new book gives you 100 ideas for making the world more awesome. Some ideas are short, but thoughtful mottos you can live by, like "If it doesn't make the the world better, don't do it," or "Be kind. It's not always easy, but it's always important." Many others are accompanied by stories of real kids and adults doing awesome things. There are interviews with famous people and regular people alike. I loved the fact that it introduced me to some great causes I didn't know about before. And the whole thing is full of the spunky humor we love about KP. I got this book for my library, but I will be getting a copy to own for myself because I know I will return to it whenever I need a pep talk. I was feeling sort of down and disillusioned when I started this book, but now I feel refreshed and inspired. And I know that next time I'm facing a less-than-awesome day, I can remember KP's words: "Keep going, keep going, keep going." Jk. Kid President is indeed awesome. Like antidepressant in human form awesome. As is his BIL. And the various do-gooder kids they interview. Makes you feel like we really can change the world one awesome party at a time. Read it, share it. Definitely share it with your kids. KP, I am eternally high-fiving you for your extreme awesomeness. Keep perpetrating your awesome. I can see the world changing in its wake. Kid President's Guide to Being Awesome was fantastic! Filled with inspiring quotes and fun anecdotes. I really loved getting to know more about Robby and Brad. I especially loved the pep talks. Definitely a must read, especially for recent college graduates like myself. Go be awesome and help change the world. This book is AWESOME! Kid President really has a great perspective on life and the motivation to do something about it! Yes he has had amazing opportunities to spread his passion but he started out simply. I encourage EVERYONE to read this book! It puts you in a better mood to go through life and DANCE! A must read for anyone and everyone! This kid (and his brother!) and the people featured in this book are sure to inspire anyone and strike a cord at some point with any reader! Watch his videos. Follow his teachings. Read this book! Wish I could afford to buy a copy for each and every one of my students! Stellar. Just stellar. I wanted to tweet out each page of this book - to encourage adults and children alike to be more awesome. I am fortunate that a 7th grader loaned me her copy - I can't wait to get my own copy for our classroom! Wonderful inspirational reminders for all of us from the Kid President! A great book by an amazing kid who has a very important message for the world! A must read! It is impossible not to love this book. This book was awesome! It makes me want to be awesome! How awesome is that? Practical ways to better your world from a very inspiring young man! This is a book everybody should read. Robby Novak, better known as Kid President, has spent a lot of time trying to make the world more awesome. In this guide, he shares a list of 100 ways that his readers and fans can make the world more awesome too. Fans of his YouTube videos will recognize familiar things like his pep talk, the advice to send a friend a corn dog, and to treat everyone like it’s their birthday. The book also shares some information about how Robby stays positive in spite of his brittle bone condition, a background Robby Novak, better known as Kid President, has spent a lot of time trying to make the world more awesome. In this guide, he shares a list of 100 ways that his readers and fans can make the world more awesome too. Fans of his YouTube videos will recognize familiar things like his pep talk, the advice to send a friend a corn dog, and to treat everyone like it’s their birthday. The book also shares some information about how Robby stays positive in spite of his brittle bone condition, a background on some of his videos, select interviews with celebrities and other awesome people making the world more awesome, and lots of images to help show more about the things Robby has done. With so much information on making the world more awesome, everyone can find a way to give the world a reason to dance. I love the Kid President videos! So picking up this book was a no-brainer. It's a mix of what's already been posted on the Youtube channel (and the SoulPancake Facebook page) and uplifting stories of those that have done good things for others. Most interesting part of this book is the forward by Brad Montague, the big guy who's in a lot of the SP posts with KP. Turns out, he's Robby Novak's brother-in-law (Robby being the actual Kid President). I sort of wondered about this, as I thought it was I love the Kid President videos! So picking up this book was a no-brainer. It's a mix of what's already been posted on the Youtube channel (and the SoulPancake Facebook page) and uplifting stories of those that have done good things for others. Most interesting part of this book is the forward by Brad Montague, the big guy who's in a lot of the SP posts with KP. Turns out, he's Robby Novak's brother-in-law (Robby being the actual Kid President). I sort of wondered about this, as I thought it was cool that this very enthusiastic young man got the opportunity to make all these clips; it's actually something that he and his brother-in-law put together and it took off. Also, Robby has brittle bone disease (yep, the same thing as Samuel L. Jackson in Unbreakable). You'd never know it to look at him, and you certainly wouldn't know it from his actions! Young man takes it in stride, looks at the bright side of life, and yes, he dances. A LOT. And loves corndogs. I just love Kid President. He's funny and inspirational and makes me smile. If you are already a fan, this is a great way to learn a bit about how the videos began. If you don't know him yet, this is a great way to learn about living life in the "most awesome" way possible. Great book for sharing with kids - and adults too. A book full of the wisdom and a passion to make the world a positive, kind place that makes Brad Montague, Robby Novak, and Soul Pancake endearing to all. There are lots of pictures, interviews, lists, and inspiring people who work to make the world a better place. This is a great book to have in a middle school library to help inspire young people to choose positivity and find a way to "give people a reason to dance"
This book is beautiful!!! If you/your kiddos/students need a refreshing, desperately necessary look at the good that is being done and that you can do in the world, this book and kid president's YouTube videos are THE BEST place to go. I am not a big gush-er over nonfiction but this book and it's much needed light and joy are fantastic. Highly recommended!!!!! Robby Novak is an American personality best known for portraying Kid President online and on television.